No time to come to the RockWorks workshops in Golden, Colorado, USA? No worries! 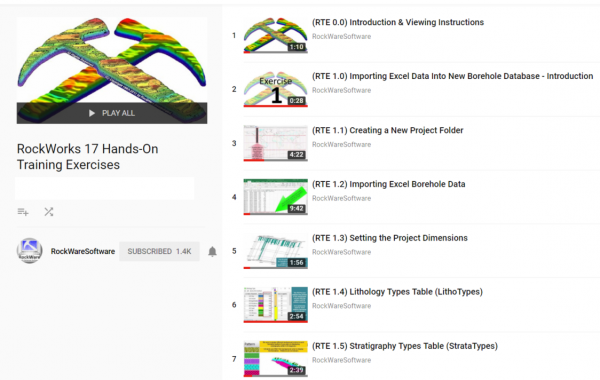 Visit the RockWare YouTube Channel and watch the sequence of Hands-On Training Exercises which take you through much of the in-person class. Whether you own a license for RockWorks17 or are using the Trial version, these instructional movies will get you started in the program! Visit the RockWorks YouTube Training Videos.